Social Network Demographic Changes – 2007 vs 2010. Advertising on social networking websites has had a lot of attention recently, in particular on Facebook and to a lesser extent MySpace. Why do people want to advertise on these sites? It’s because they have such huge reach. Each day millions of people access Facebook and MySpace, which makes them the online equivalent of a large television station or newspaper. Many companies advertise blindly on these websites without taking into consideration the differences in demographic to the offline equivalents. Advertising the right product to the right audience is essential to make a profit, and understanding who the social networking demographic is will help you to know which products will sell. 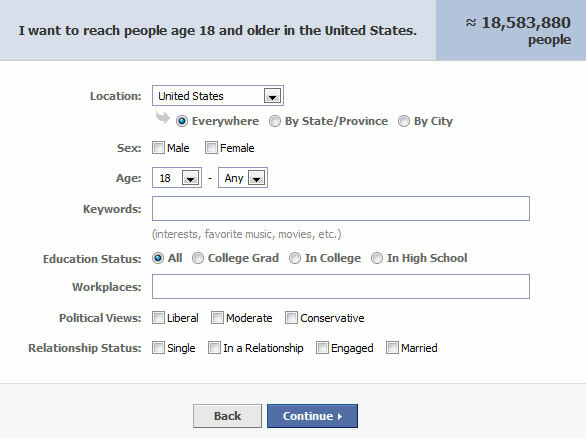 I have done demographic research on social networks with a data set of all Facebook members living in the United States which is a total of 22,000,000 people. Other countries and other social networking websites will most likely have similar demographics so this research will pertain to social networking in general. 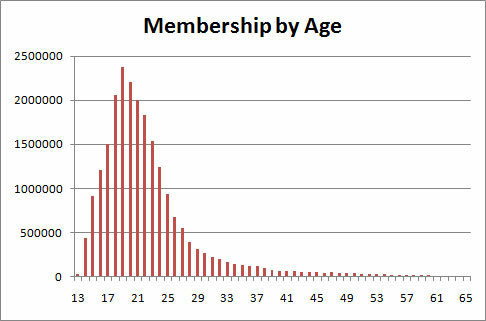 Shown above is the age distribution of social networking members. 84% of members are between the ages of 14 and 26, so to achieve the highest possible ROI you should tailor your product to this age group. What products would be most suitable for this age group? Brand name clothing, games and sports equipment to name a few. If your product was for example home loans, social networking websites are not the place to advertise. 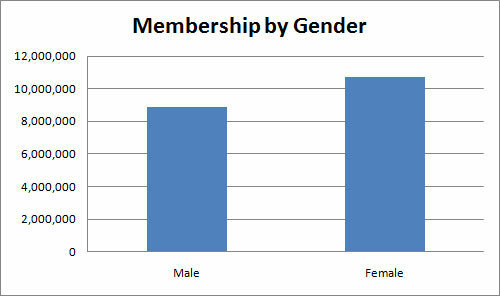 Shown above is the gender distribution of social networking members. 55% of members are female and 45% are male, this proportion is very normal so shouldn’t significantly affect any advertising decisions. 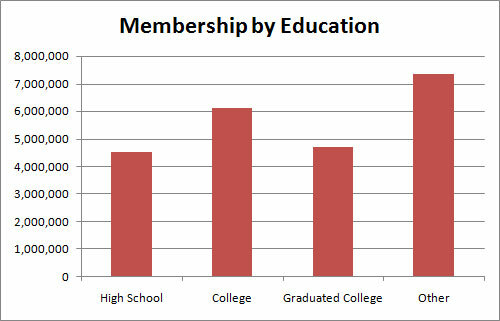 Shown above is the education distribution of social networking members. 47% of members are currently studying at high school or college and the remaining 53% have finished studying. The majority are partially or fully college educated, which will once again affect which advertisements will achieve the best ROI. Since there are advertisers looking to advertise products to members outside of the main demographic Facebook has implemented an impressive ad serving system. Since Facebook have the age, gender, race, location and even interests of their members they can display targeted advertisements customized for each member. Facebook allow advertisers to choose which demographic to display their advertisement to, which in turn can lead to a great ROI for the advertiser and Facebook can therefore charge a premium on the ad space. Without such an ad serving system, advertising is limited to products targeted to the primary demographic. Facebook have set a high benchmark and I hope their competitors can keep up.